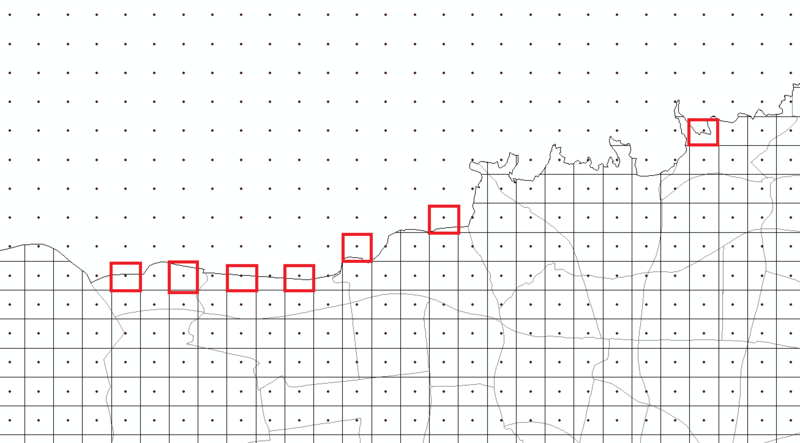 I have a shapefile of a city. My problem is that in the border, cells of the grids are not a complete square (500*500 m), while I need them to be complete as I need their centroids too. As it is shown for example in the picture, all cell in the border should be complete( not limited to the city border). The steps I followed is that through fishnet I created grids and then clipped it to the city border. How I can fix this issue? 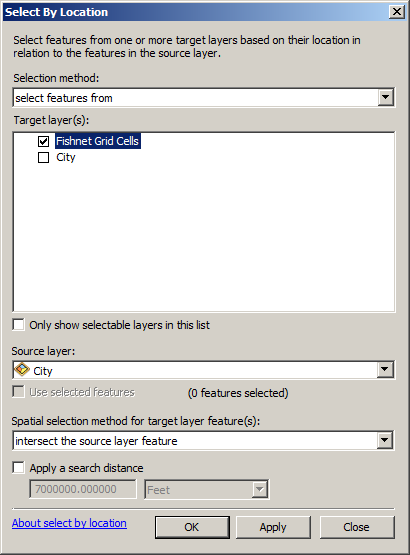 Instead of clipping, use Select by Location (https://desktop.arcgis.com/en/arcmap/10.3/map/working-with-layers/using-select-by-location.htm). Use your grid as the target layer and your city layer as the source layer. Select features where they intersect the source layer feature (your city). Not the answer you're looking for? Browse other questions tagged arcgis-desktop arcmap shapefile vector-grid or ask your own question. How to divide a certain country on a map into grids? How to limit Create Fishnet extent by mask & carry over attributes?